The Thriller/Suspense fiction market is healthier than ever. From Ken Follet to Tom Clancy to Steig Larson, readers just can't get enough of their spies, thieves, and tension-packed plot lines. If you've written a thriller or suspense novel, you'll need an agent who specializes in that genre to represent you in your journey to publication. WEbook's AgentInbox has 33 agents that specialize in the Thriller/Suspense Genre. That means they already represent T&S authors, have built connections with like-minded editors and publishers, and they're looking for more! Here's some background information on a few of our agents, you can check out our full list of active literary agents here. John Talbot, Talbot-Fortune Agency: Prior to becoming an agent, John spent three years with Pocket Books and seven years with Putnam Berkley (now part of Penguin USA), where he rose to the rank of senior editor and worked with such major bestselling authors as Tom Clancy, W.E.B. Griffin, and Jack Higgins. "Honestly, I only know what's hot for me and what might be hot for the editors I'm working with and submitting to. Lately, I've done very well with big thrillers and with cozy mysteries." So strike while the big-thriller-iron is hot, see John's full WEbook profile here. "I'm particularly into foreign and historical thrillers and mysteries, so send me your ruthless doges and impious cardinals. Give me atmosphere, let me learn something about another time or another place (or both), and kill off nasty Uncle Mortimer in the process--I'll be yours!" Check our Josh's WEbook profile here. "Send a letter that is literate, to the point and – like a dust jacket – quickly gets our attention." You can see Peter's WEbook profile here, or check out our query letter tutorial for help writing that literate, to the point letter. 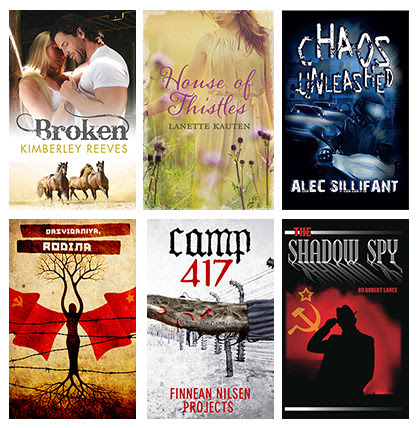 Those are just a few of the Thriller/Suspense agents, submit to AgentInbox to see them all. If you also dabble in young adult fiction, see our earlier post about YA literary agents (who knows, thriller YA could become the new paranormal YA).